Let our knowledgeable and passionate staff guide you through our portfolio of wines starting with our award-winning Chardonnay and finishing with our flagship red blend, Red Icon. Learn about our vineyards and winemaking processes and enjoy a glass of wine on our sun drenched patio. April - October: 11:00am - 5:30pm | November - March: tastings by appointment (call on 250 493 6809). Limited number of memberships available. With a choice of packages, you can customize the shipment to suit your taste. 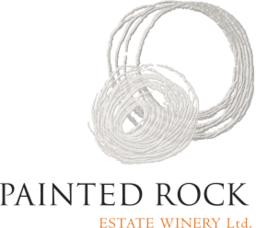 Once a year, a selection of six Painted Rock wines will arrive at your door. No membership fees. Available directly from the winery, online, at fine dining establishment and private liquor stores across Canada.